The Telegraph yesterday pulled out all the stops in support of Boris Johnson’s most recent Brexit mind-burp. Not only did they allow him a double page inside spread for his article, but it was accompanied by a chorus of op-ed and editorial comment about Johnson’s vision and the need for strong Johnson-shaped leadership of a Brexit government. The aim was, at a minimum, to cause a splash. Achievement unlocked. Beyond grabbing the headlines, speculation on Johnson’s motives is rife. Is it simply an attempt to reassert the case for hard Brexit in advance of Theresa May’s Florence speech? That could be an attempt to dissuade May from taking the “no change” route for transition to Brexit and just throw the UK off a cliff instead. Or could it be to position Johnson so he can cry “Betrayal!” when and if May takes the more sensible route? Is it an attempt by the owners of the Telegraph, presumbly on behalf of the media mogul class more generally, to ensure the type of Brexit they’ve paid for? You know the one: the Brexit that means the UK doesn’t have to apply new EU tax avoidance rules from 2019. Is this the start of yet another leasership challenge to a lukewarm, lame duck Tory leader? Is it just that Johnson was feeling needy – Rees-Mogg was getting all the attention and he is simply reminding us he’s still there? Having set out his case at length, the focus of the public discussion has narrowed to Johnson’s restatement of the repeatedly debunked figure of £350 per week as the UK’s contribition to the EU. Sir David Norgrove, head of the UK Statistics Authority, has publicly chastised Johnson for misleading use of statistics. It is at least arguable that Johnson has broken the Ministerial code. 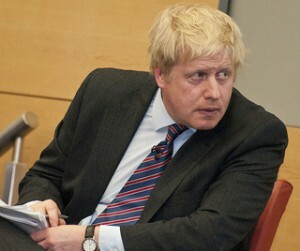 In response Johnson and his aides have seemingly tried to deny or disown what is written down in black and white. One suspects that in simpler times Johnson would shortly be clearing his desk. Such flagrant behaviour from a holder of one of the great offices of state would have been intolerable. But I’d be immensely surprised if Theresa May acted quite so decisively. I want to make a different point about Johnson’s article, focusing on his diagnosis of the challenges that the UK faces and his plan for a successful Brexit. This is a plan that attracted support from some of his cabinet colleagues (Gove, Patel). Wags made sport of the fact that one of the points in Johnson’s ten point plan for a successful Brexit, as summarized by the Telegraph’s Christopher Hope, was that “Brexit will be a success”. A situation for which the words “otiose” and “tautological” seem tailor-made. But, more importantly, if we look at the substance of Johnson’s diagnosis, such as it is, something else emerges very clearly. Leaving aside whether his proposals add up to a coherent policy platform with the necessary breadth and ambition, addressing most of the problems he identifies does not require the UK to leave the EU. He mentions expensive infrastructure, insufficient housing supply, uninspiring vocational training, failure to invest in basic science. These factors lead to limited productivity growth and declining relative economic performance. It’s not the first time Johnson has offered this or a similar list. But if he is serious about this diagnosis – and with Johnson, who can know? – then leaving the EU has limited relevance to dealing with these problems because being a member of the EU is not causally implicated. To be fair, Johnson pretty much acknowledges this. But the logical hole in his argument doesn’t stop him ploughing on regardless. The one way in which leaving the EU could affect these issues – by reducing economic activity and in turn reducing the amount of tax revenue available to the government, thereby constraining its scope for action – also goes unrecognized. Johnson’s 10 point plan suggests that a post-Brexit UK will take advantage of low interest rates to borrow more to invest in infrastructure. But it hasn’t been the EU stopping the UK doing this for the last seven years. It has been the austerity obsession of Johnson’s own party in government. In addition, the plan assumes that British interest rates will remain low after Brexit. That is possible. But it is equally possible that a disastrous Brexit means that the country is viewed by international investors as a much greater credit risk and will have to pay more to access credit. Similarly, Johnson suggests that after Brexit foreigners will be prevented from buying homes in Britain. It is not possible to tax EU nationals any differently than UK nationals while part of the EU, so leaving will allow the UK to tax differentially. That is all well and good, but the foreigners who spend large sums of money on property in London and elsewhere are not from the EU. They are mostly from East and South East Asia, the Middle East, and Russian and its satellites. So this is a complete red herring. We could continue through several of the other points in the plan. But you get the idea. My point is not that if this diagnosis of the UK’s malaise is correct then leaving the EU is largely irrelevant and therefore unnecessary. Although that is true. Rather my concern is for the post-Brexit future. Johnson has been able to garner widespread news coverage on the basis that he is optimistic about Brexit being a “national enterprise” in which the UK will “succeed mightily”. He can supply some rousing sentences that pander to patriotic pride while offering a few vague gestures towards policies that don’t really address the problems he identifies. This, according to his acolytes, is showing the leadership the country needs. Dan Hannan has weighed in with the view that the reason “Europhiles” dislike Boris Johnson is his “irrespressible cheerfulness”. I can’t speak for Europhiles, but what I don’t like about Johnson, and many other leading advocates, apart from seemingly being incapable of telling the truth, is that they are deeply unserious in the face of what could be, if not handled very carefully, the biggest catastrophe facing the country in generations. We have a cadre of politicians who think that the best way to get a good deal for Britain is, on the one hand, to insult and irritate those we are negotiating with or, on the other, to wave, waffle and gurn at the camera/audience and be complacently cheery that it will all turn out right in the end without the need for hard strategic thinking and compromise. These are not the people to whom the ship of state should be entrusted on such a perilous journey. I wonder whether there will be a reckoning and when that might occur. When you promise that leaving the EU will deliver such bounty, even when your own analysis indicates that EU membership is not the cause of the problems the country faces, what will happen if the sunlit uplands are not reached? Who will be held to account if the medicine administered to the patient makes him considerably sicker? The ‘will of the people’ may turn out to be rather fickle. Politicians are reluctant to defy the will of the people in respect of the referendum result, for fear that the people are vengeful. How much greater will be the people’s wrath if Brexit turns out badly? * Just for the avoidance of doubt, this post shouldn’t be read as meaning that I’m a crazy Europhile who thinks European institutions and officials can do no wrong. That is not at all the case. But that isn’t the topic that I’m addressing here.